Before the Hawaii Air National Guard moved to its current campus in 1960, the operated in Area 65 on Hickam Field. The 199th Fighter Squadron flew the F-47N Thunderbolt (1947–1954) and the F-86E Sabre (1954–1958). 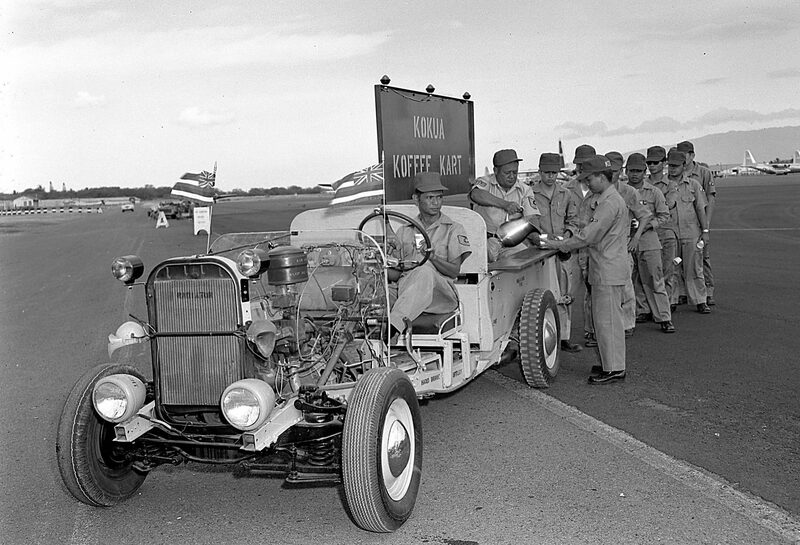 coffee was delivered to the flightline maintenance crews. Love the looks of the truck!